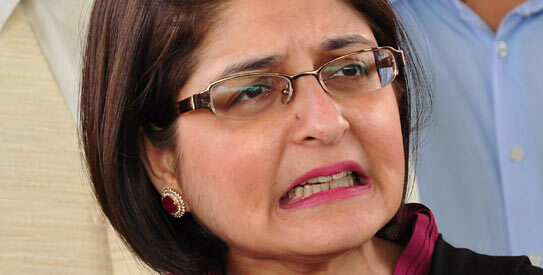 US State Department Confirms PPPP politician Farahnaz Ispahani is an American Citizen. Is the U.S. MNA, Farahnaz Ispahani, wife of Husain Haqqani, serving Pakistani or American interests in the Presidency and the National Assembly of Pakistan? (AdeebMedia.com – Commentary) – Pakistan’s Supreme Court (SCP), Election Commision (ECP) or National Assembly (NAP) Speaker must officially disqualify and kick American (PPPP) MNA Ms. Farahnaz Ispahani (the wife of PPP former envoy to Washington DC Husain Haqqani) out of the NAP because she is an American Citizen/National (according to the US State Department Diplomatic List – a blue book about almost all foreign diplomats in the USA – of Spring 2011, dated, 7 April 2011), and therefore, she was automatically disqualified as a MNA under Article 63 (1-C) of the Constitution of Pakistan read with Section 99 (1A-C) of the Representation of the People Act, 1976. Advice about Possible Loss of U.S. Citizenship and Dual Nationality. Farahnaz Ispahani is NOT a Citizen of Pakistan. She is a Citizen of the USA. She lost her Pakistani citizenship when she became a US Citizen. Therefore, she is NOT a dual nationality-holder of both America and Pakistan. However, she may also lose her American citizenship under Section 349 of the US Immigration and Nationality Act (8 U.S.C. 1481), as amended, because she voluntarily accepted employment with the Government of Pakistan and she took an oath of allegiance to Pakistan. It is now the duty of the US State Department’s consular officers to question her that does she intent to relinquish US citizenship? Indeed, some Pakistani citizens or advocates must file petitions (lawsuits) in Pakistan’s Supreme Court, High Courts and Election Commission to request Pakistani judges/justices and the ECP to disqualify Farahnaz Ispahani as a MNA of Pakistan, a Media Advisor, a private/personal secretary and a spokeswoman of PPP co-chairman/president Asif Ali Zardari, because she is a National/Citizen of the United States of America (USA), and because she has deliberately violated Articles 6 (High Treason), 62, 63 and 65 (Oath) of the Pakistan Constitution as well as Section 99 (1A-C) of the Representation of the People Act, 1976. Furthermore, a Pakistani court must issue an arrest warrant for Farahnaz Ispahani and the police must arrest and charge her for violating the Pakistan Constitution and the Representation of the People Act, and for committing the crime of perjury by hiding the whole truth & real facts or by lying to the ECP, the Parliament and the Government of Pakistan (GOP) in her MNA election papers and other official documents about her current US citizenship & American nationality. Farahnaz Ispahani canNOT be allowed to vote in Pakistan elections as a Pakistani voter and in US elections as an American voter at the same time. Pakistan Parliament has not amended Pakistan citizenship clauses of Articles 62, 63 and 65 of Pakistan’s Constitution through any constitutional amendment. Therefore, Pakistani former and current tyrants – Pervez Musharraf, Shaukat Aziz, Asif Ali Zardari, Yusuf Raza Gilani, etc. – have NO constitutional powers or legal authority to issue any ordinance or order to authorize any citizen or national of the USA, UK, or any other foreign country to become an MNA, Senator, MPA, Speaker, Minister, Chief Minister, Judge/Justice, Auditor-General, military officer, Army General, or Governor of Pakistan. An ordinance or order about Pakistan citizenship or dual nationality, reportedly issued by PML-Q/MQM-A illegal ex-president General (R) Pervez Musharraf, is unconstitutional, illegal, null and void, because it violates Articles 62, 63 and 65, and it canNOT supersede the Constitution, which is the supreme law of Pakistan. Is PPPP MNA Farahnaz Ispahani, wife of Husain Haqqani, serving Pakistani or American interests in the Presidency and the National Assembly of Pakistan? 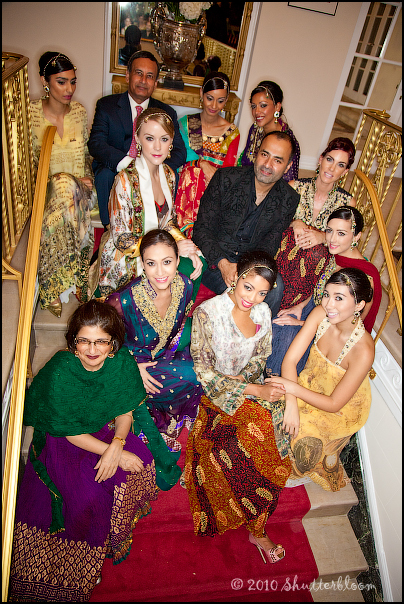 Is Husain Haqqani, the alleged narrator of the infamous Zardari-Haqqani treasonous memo, also an American Citizen/National, an American Green Card holder, or a US work permit holder? Who will seriously and legally implement/enforce Articles 6, 62, 63 and 65 of the Constitution of Pakistan? Islamabad, Pakistan, 19 December 2011 (AdeebMedia.com) – Mr. Ishtiak Ahmed Khan, Secretary, Election Commission of Pakistan (ECP), has said that the ECP has declared individuals with dual nationalities ineligible to take part in elections and has, therefore, issued a directive for ensuring its strict implementation for Returning Officers to obtain a declaration on oath from all the persons filing Nomination Papers for an election to a seat in the Parliament [National Assembly and Senate] or a Provincial Assembly [of Punjab, Sindh, Khyber and Balochistan]. This provision of the Constitution is being implemented for the first time in the Senate bye-election in KPK, for which the nomination papers are to be submitted on 20th & 21st December 2011, and the polling will take place on 4th January 2012 at Provincial Assembly Building, Peshawar. ← US TPS For Pakistanis?